Let me tell you about my Wow! moment. I got super excited when I discovered Psalm 104 is bursting with the LORD's magnificent Work in Nature. Nature. Wow! That's just one of my many favorite subjects and I can't wait to share what I learned with you. So, pull up a milk crate and get comfy, and let's dig deep into Psalm 104. 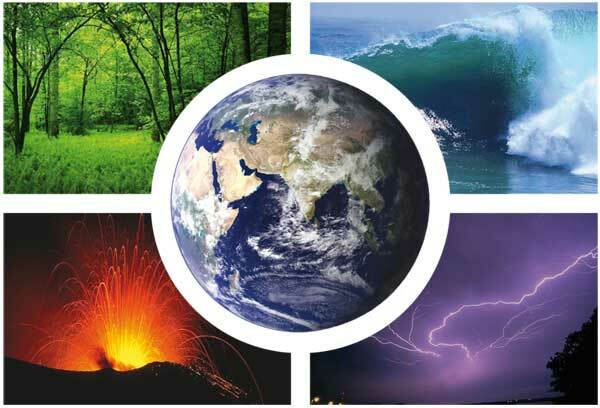 In this memorable and fun presentation, I explore the Four Spheres that are part of Earth. The Atmosphere. Most of the weather events happen here. It also includes the endless planets, stars, and galaxies of the Universe. The Geosphere. This is the foundation of the Earth and includes every rock and mineral from the tiniest grain of sand to the largest landform. The Hydrosphere. Every living thing needs water and all the water on Earth that can be stored in the oceans, glaciers, rivers, streams, groundwater or water vapor is here. The Biosphere. This is where all living things (plants, animals, and bacteria) inhabit the Earth. The Bible is such a gift and reading it becomes a way to connect with the LORD. His Word provides lessons for living, warnings, His promises, the message of Salvation, the greatest gift, and Hope. The more you read, the more you learn about the LORD. Our relationship with the LORD Jesus is the most important relationship we can have. Come join me and let's explore the LORD's magnificent Work in Nature! Robin Bird loves to study and learn new things. She teaches in a way that makes difficult subjects easy to understand. Robin also has a great sense of humor and shares her sometimes "embarrassing" moments. Psalm 104 is All About Nature! Field Trip! How Big is the Solar System? Ready Jet Go!